Every year, Beautylish cleans out their stock of beauty products from the past year by bundling them up into mystery bags. These are wildly popular and even after early access for purchasing, I was not able to snag an XL bag, so I went with the original. For the first time this year, Beautylish is offering several varieties of Lucky Bags, including one that donates one bag to charity and one that is exclusively Jeffree Star products. Both of these also sold out during early access, however not nearly as quickly as the XL bags. I was not extremely impressed with last year's offerings, which was my first year purchasing the Lucky Bag. However, I did find the value to be really worth the fun surprise and the amount of product I received. I received over the $150 worth of product last year. You can read my review from 2018 here. The Beautylish Lucky Bag 2019 retails for $75.00 USD, plus $10.00 for shipping and $5.81 for tax, for a grand total of $90.81 (there is an increase in shipping cost from last year, from $7.00 to $10.00). However, it comes with $150 worth of product. There is potential for getting more than the stated value worth of product, hence the "lucky" part of the Lucky Bag. In general, most people will get slightly over the $150 value in product. Like last year, I want to cover the pressing questions people often have when it comes to the Beautylish Lucky Bags being "worth it". Should I get a Beautylish Lucky Bag? Yes, if you don't own a lot of products being sold on the website. 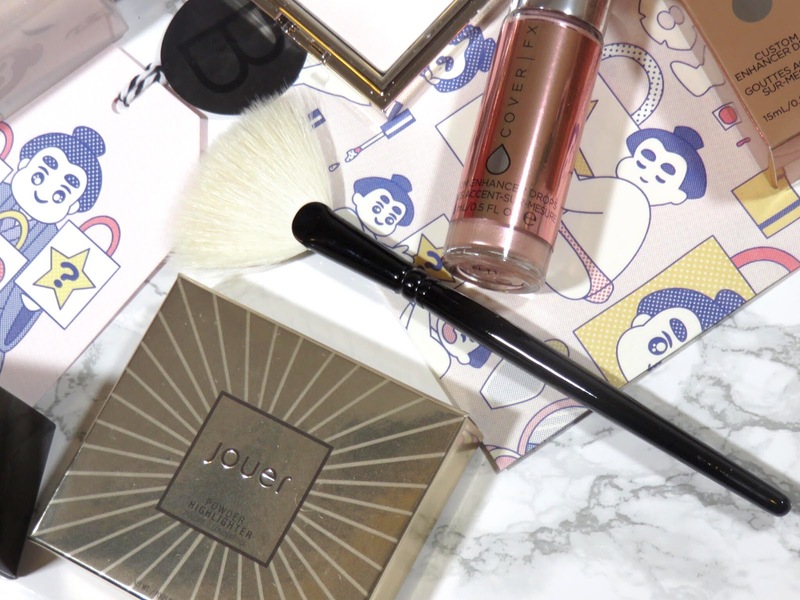 If you've always wanted to try some those higher end brands like, Charlotte Tilbury, Natasha Denona, and Smith and Cult you should try your luck. Plus, the value is pretty amazing for how much you pay. If you happen to be disappointed with what you get, unfortunately, there are no returns. However, many people are willing to trade products. You can find people on Instagram or in forums to trade products with. Also, give the value and the quality of the products, you can always gift them to someone. Which Skin Tone should I buy? Does it matter? Yes, unfortunately it does matter which skin tone options you choose. These bags come in two options: Light to Medium Skin tone and Tan to Deep Skin Tone. This is unfortunate because if you fall in between like I do, you'll have to choose between the two. I would go for the light to medium because not only do most brands make more products for lighter skin tones but you may end up getting a face powder and you don't want to get the wrong shade. Last year, I received a translucent Cover FX powder but had I gone with the Tan to Deep nag, the powder would be too dark for me. 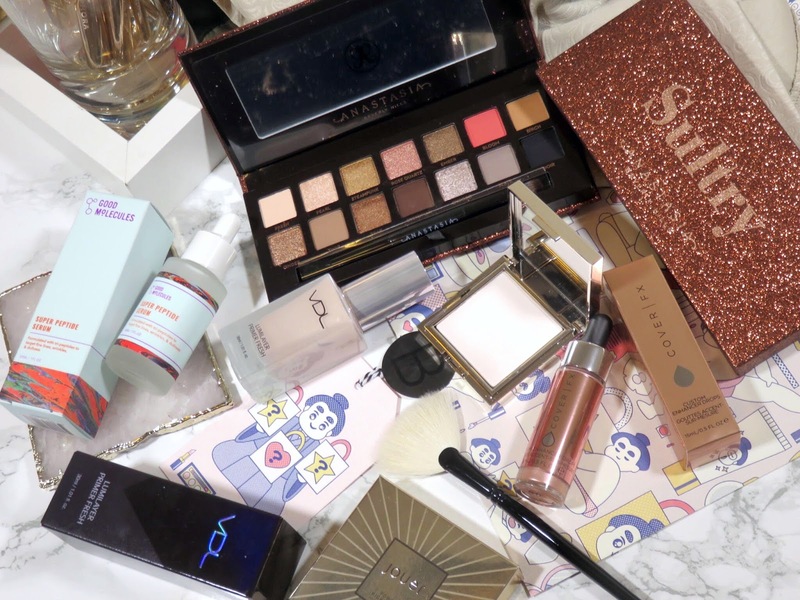 What comes inside a Beautylish Lucky Bag? It varies from year to year. Like I stated earlier, this is an opportunity for Beautylish to essentially get rid all of the previous year's stock. You will often find some limited edition products from the past year along with some permanent items available at Beautylish. The majority of the products are makeup, mostly because skincare is often quite expensive, so you will most likely not find full-sized skincare products in your bag. You may find travel sized products in your bag or products that a separated from larger packs, for example I received one Sulwahsoo Sheet Mask but they come in packs of five. 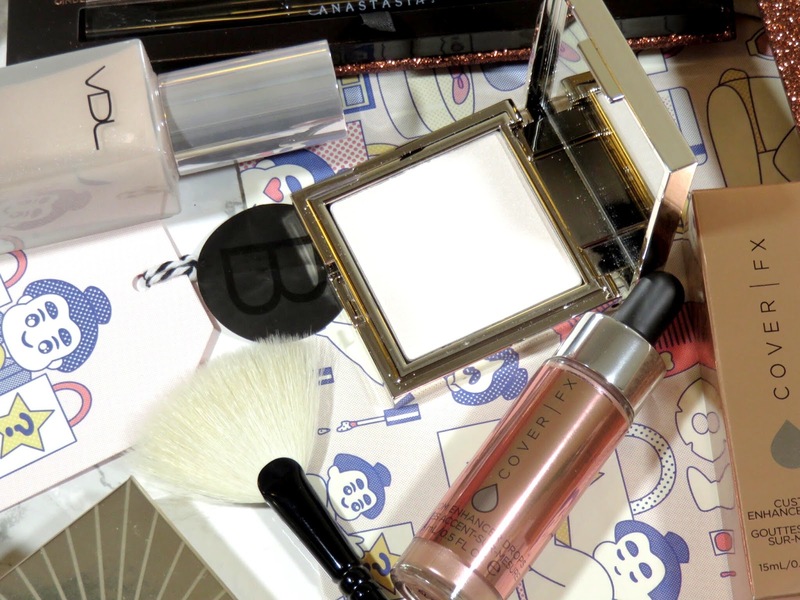 You will find many of the brands from Beautylish but not all brands will be in the Lucky Bags. What brands will you find in the Lucky Bags? 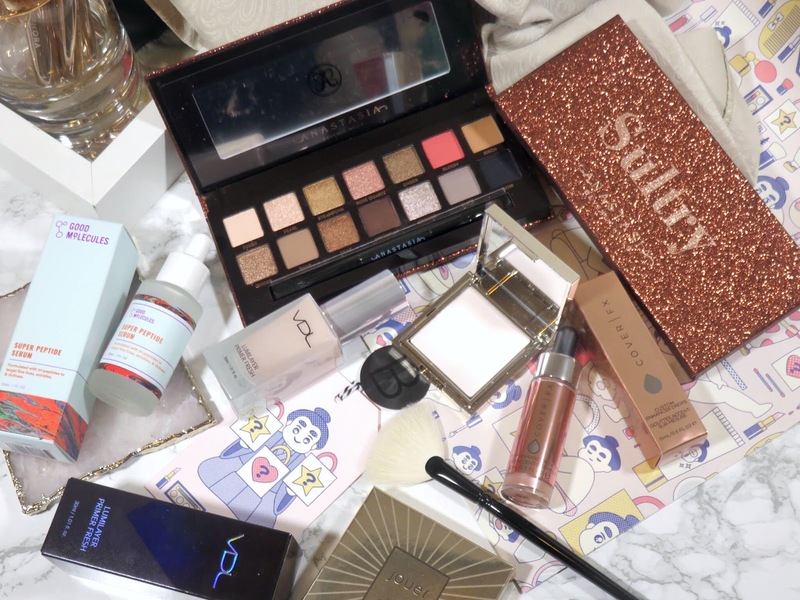 There are a few new brands to Beautylish this year, so these brands may participate in the Lucky Bag but since it is their first year with Beautylish, no one knows for sure. I have listed brands that have participated in the past but there are no guarantees on which brands will be featured each year. 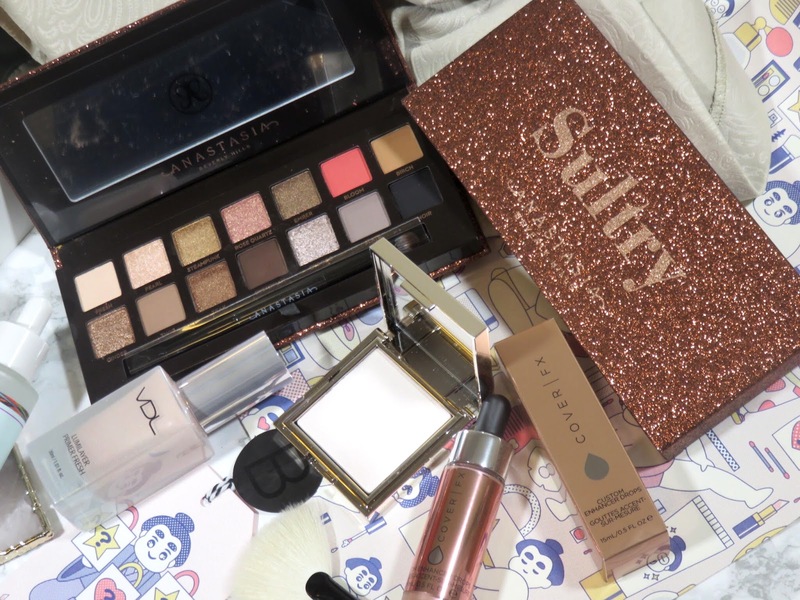 What is in the Beautylish Lucky Bag 2019? The regular Lucky Bags seemed to have a consistent type of products. This year, I saw many people getting Anastasia palettes (including myself). The Norvina and Sultry palettes were in many bags, which I think many people were disappointed about because most people own these palettes. I also saw some people getting the Viseart Tryst eyeshadow palette, which I would have loved to get. Everyone, regardless of XL or regular sized bags, received a Good Molecules serum because they're introducing the brand to Beautylish this year. Everyone also got some brush, I saw some people get a Sonia G. brush (I was very envious) and many people got Wayne Goss brushes. Some version of the VDL primer was also in many people's bags, which I was very excited for because this has been on my wish list for a while. 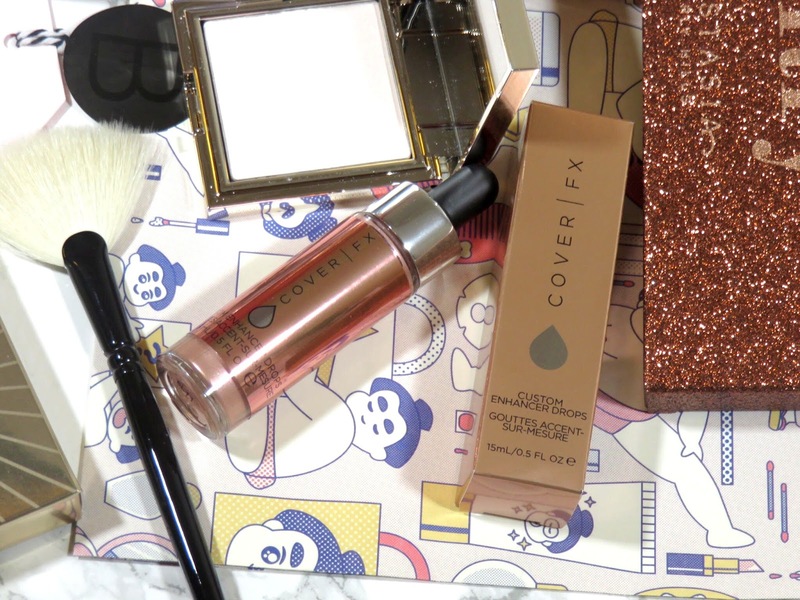 Also, very popular in the regular bags were the Cover FX enhancer drops (highlighters) in various shades. I'm glad I didn't get a shade I already had. I also saw quite a few people receive the Jouer Lip Topper Set and I was very thankful I didn't get that because I didn't really like the one I got last year (full review here). I did get a duplicate from last year, the Wayne Goss Fan Brush, which I'm not mad about because I love this brush. However, I would have liked a new brush but it's the luck of he draw and also, I think the fan brush is supposed to go with the Jouer Highlighter I received. 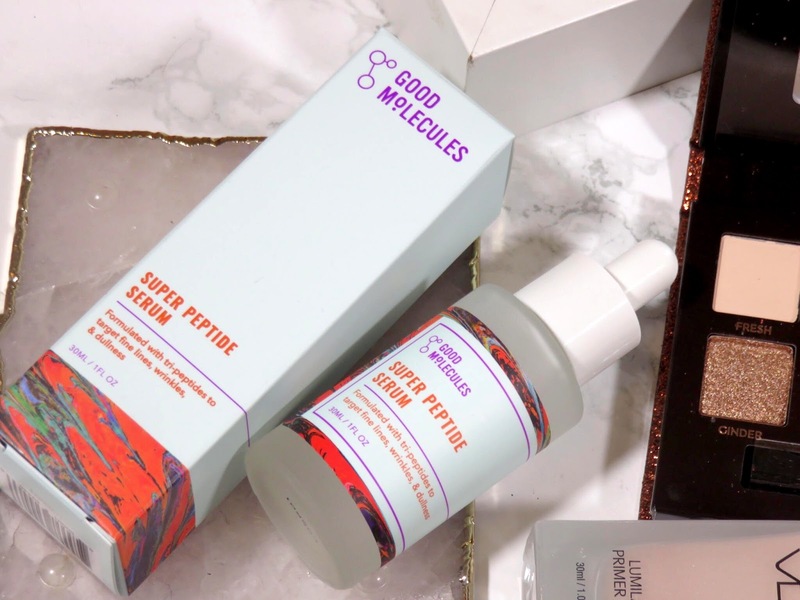 Good Molecules Peptide Serum *price unknown since the brand is coming to Beautylish and I was unable to find the brand anywhere else. 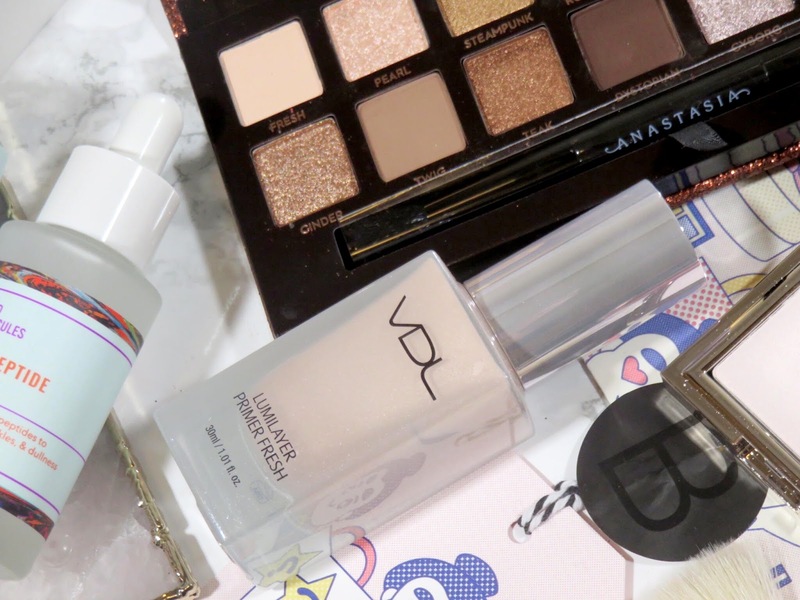 Are Beautylish Luck Bags worth it? In the end, I really do think they are! After tax and shipping you pay $90.81 for $150.00 or more of product. The products are all very high quality and mainstream brands. I think it's a fun experience. I know blowing almost a hundred dollars on a mystery bag is scary but I haven't been too disappointed yet. However, this is my second year buying it but I liked my bag this year, significantly more than the bag I got last year. Overall, I like these product much more than last years and I can see myself using them a lot. Every year is very different, for example last year (2018), many regular bags came with Charlotte Tilbury products but this year very few bags had Charlotte Tilbury and it was mostly her lipstick. This year, I think the eyeshadow possibilities were awesome with Natasha Denona Cranberry (full review here) making an appearance and the Camel palette, which I really wanted... but oh well. 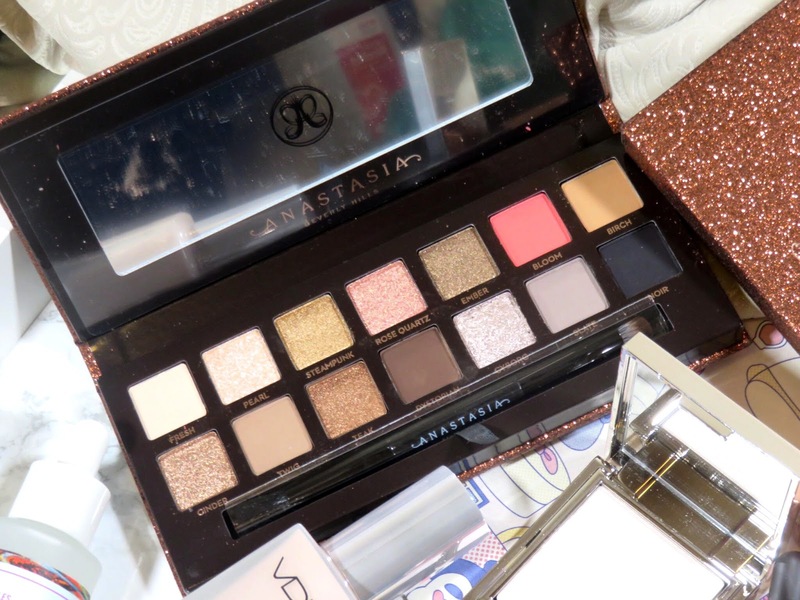 Plus, the opportunity to receive an Anastasia palette was great for me because I don't own any of her palettes! This year we also saw some Hourglass, some lucky people received their new mascara or one of their powders. Overall, I feel like this year was much more exciting and well worth the price! Unfortunately, if you won a lot of the Beautylish brands and products, you will probably get a duplicate but that is just how Lucky Bags work.